You’ve just settled down to enjoy a nice cup of cocoa and enjoy binge-watching your favorite show on Netflix. It’s Geauga County in the winter, so the snow is piling up, and the winds outside are howling. But you are in your own little cocoon. Wrapped up in a blanket, enjoying your first moment’s peace all day. But then it happens. You go to plug in your Amazon Fire stick and nothing happens. You unplug it, put it in the other receptacle in the outlet, and still no action. You plug in your phone charger to test the outlet and get no response. There is something wrong with the outlet—but what? This is the obvious first step. Grab a flashlight and head to the basement. Most circuit breakers are labeled so that you know which circuit goes to which outlet in the home. 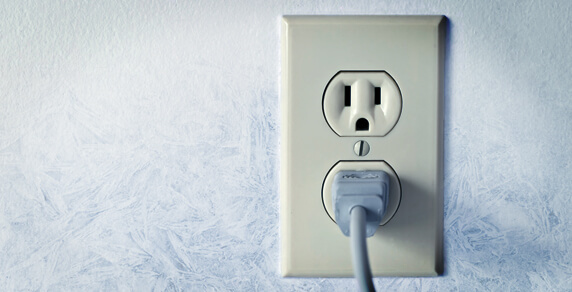 Find the switch that corresponds to your outlet and see if it has moved to the other side. Sometimes a switch doesn’t completely flip to the other side; they can get stuck in the middle, so just because it’s not all the way over doesn’t mean it hasn’t been flipped. Move the switch to its normal position and see if that does the trick. A ground fault circuit interrupter is usually required by new building codes, especially for outlets around sinks. They are designed to shut off automatically if they short circuit or overload. You’ll recognize them because they have two buttons in between the receptacles. If you have one of these outlets in the kitchen or bathroom, reset all of the outlets in that room. Sometimes if one trips, they all do and need to be reset. Sometimes an outlet in a nearby room can be on the same circuit, and it might be tripped as well. Sometimes the outlets can just burn out. If an outlet begins to spark, or if you notice any blackening around the outlet plug you should discontinue using the outlet immediately. Continued use can start a fire. Even if the plug still works, you should have that entire outlet replaced. If you have never been able to get the outlet to work at all, then chances are it’s a bad connection. An electrical professional should be able to come in, pull the outlet out of the box and secure the connections. If it is an internal connection within the outlet, an electrician can easily replace that. You shouldn’t try to replace outlets on your own unless you are a trained expert. Let the pros at Blue Collar Electricians handle everything for you. It is important for your safety, and the electrical performance of your home, to get it right. 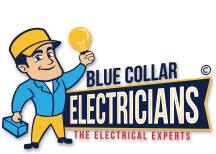 Contact Blue Collar Electricians today to fix your outlet issues and inspect your home’s electrical system.